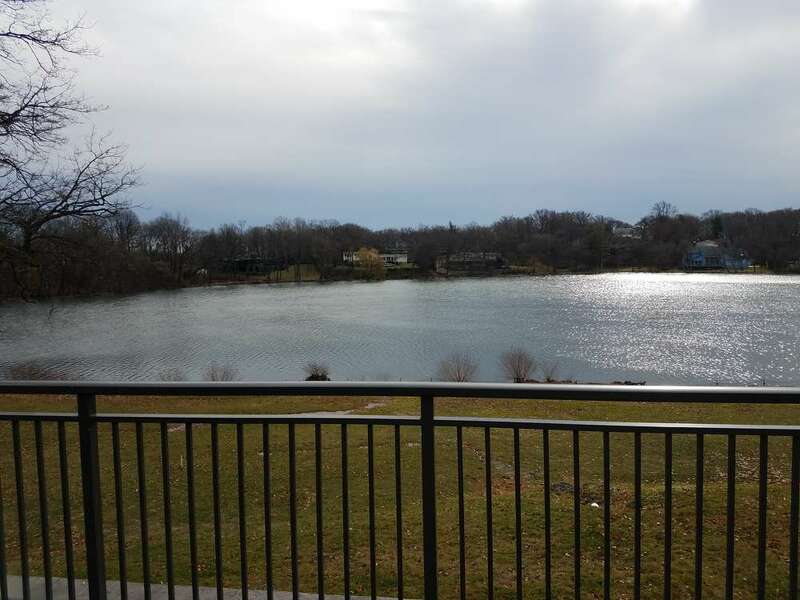 The Incorporated Village of Lake Success in Nassau County, N.Y., is a small, upscale community on the north shore of Long Island. More than 100 years old, this wealthy neighborhood is a tight-knit community where everybody knows everybody. 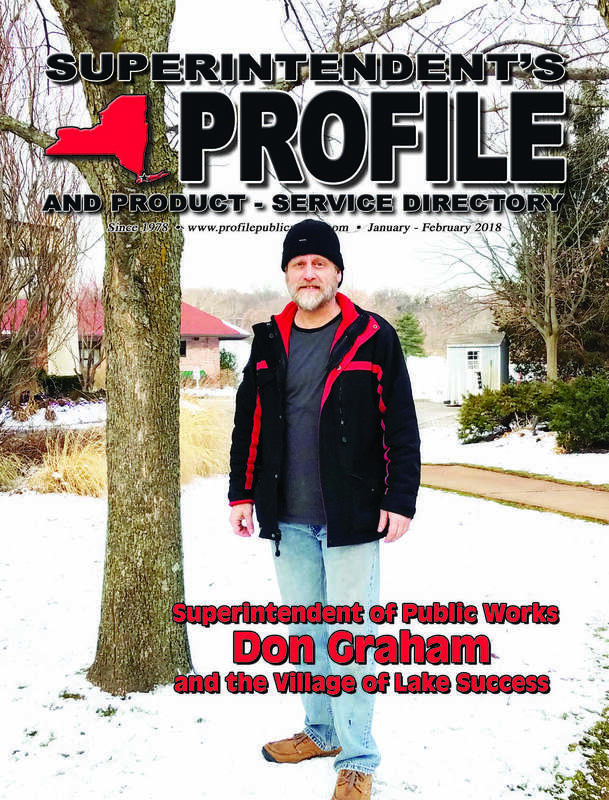 But many of the 2,997 residents may not know the village's superintendent, Don Graham. That's partly because the New York native shuns titles in lieu of rolling up his sleeves to do any job that needs doing — and because he also dodges the spotlight. Eschewing the limelight, Don is a low-key, no-nonsense kind of guy who focuses on the work at hand … and the guys he relies on to help him get that work done. The village sits between three lakes: Success, Surprise and Garrison, which feed into each other. Owned by the state, the lakes do not permit fishing, boating or swimming. “You can look at them,” Don joked. Instead, the water is used to irrigate the golf course. Matteo Padial (L) and Edwin Durant of the village of Lake Success department of public works. Today, it's primarily a golfing community, but the village, which was incorporated in 1926, once belonged to William Vanderbilt II, who purchased the land in the early 20th Century to build a home. Named for a kettle lake that had the Native American name of Sucut, the village of Lake Success credits its claim to fame with the Sperry Gyroscope Company that employed 22,000 people during World War II to build maritime, military, aerospace and navigation products. After the war, the plant became the temporary headquarters for the United Nations until its building in New York City was completed in 1952. Considered a bedroom community of wealthy commuters, the village has had a recent influx of overseas buyers who convert $1 million homes into $5 million homes. “Even a cheap house is over $1 million,” Don said. Those homeowners put their trust in a superintendent who is more comfortable wearing T-shirts, jeans and a ball cap than a suit — a superintendent who realizes the residents have more important things to do than have idle chit-chat with him; he just wants to get the job done. 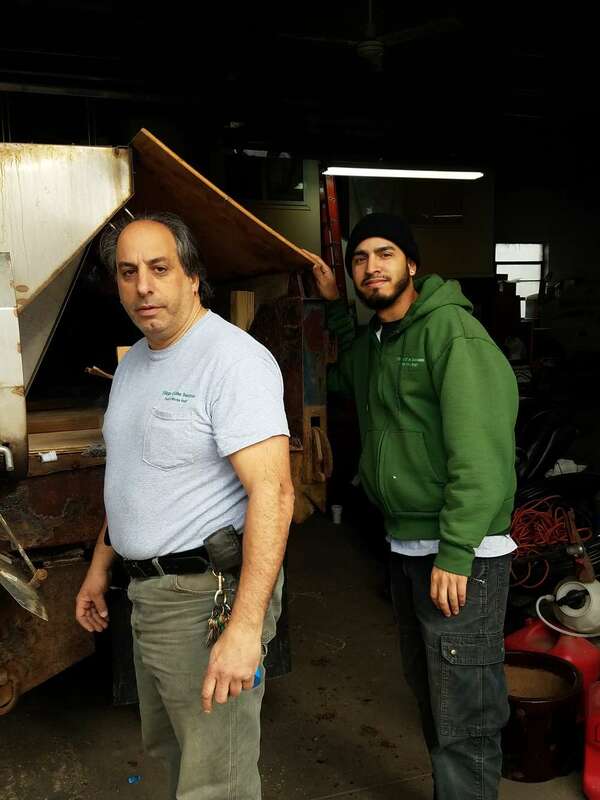 Hired in 2010 by a board of trustees, Don brings a wealth of experience to the job, having logged 28 years in the system, starting with the village of Garden City in 1989 as a laborer in the highway department for 13 years. He moved through the ranks, working as a machine equipment operator and then as labor supervisor. Garden City is a large village, which Don credits for much of his training. “It was like working for an outside contractor,” he said. In this village, he did curb work, asphalt and sidewalks. One of the more memorable — and least enjoyable — aspects of his tenure was working in the sanitation and recycling department at the village's transfer station. Other than the sanitation department, work at the village of Lake Success is similar. The 49-year-old is in charge of 10 full-time guys — with additional part-time help in the summer to work in the park — and he still does small asphalt jobs … patching curbs, maintenance, etc. But big jobs are contracted out, as is sanitation. As superintendent of the village of Lake Success, Don and his crew take care of the pool, the park, the buildings on the golf course, the roads (unless it's a big job) and plowing and salting the roads in the winter. There's a community building on the golf course that features a hall, a catering facility, a restaurant and bar, locker rooms with showers, a full gym, a card room (the “SAC” room — social activities center) and a pro shop. “It's the central hub for the village,” he said, estimating that about 90 percent of the residents use the building. The community building also houses the village offices. The park hosts the police department and courthouse in one building, a summer camp, the pool filter house and a two-bay garage to store lawn mowers and golf carts. The department of public works garage is about as old as the village; Don estimates it at more than 100 years old. It houses two offices — his and that of assistant highway supervisor, Sal Macaluso — and all the equipment. A new DPW building tops Don's wish list, followed closely by a new sweeper to replace the current Elgin three-wheel sweeper and, since Hurricane Sandy — the last big hurricane near Long Island Sound — a bucket truck to trim limbs. The equipment currently in his fleet includes one International dump truck with a flow and dump body — a conveyor belt that works for salting roads in the winter; one Ford 550 Mason body, two Ford 350s, two Ford 250 pickups, a Volvo L70 payloader, one skid steer, a Jeep for Don's personal use, a paint machine (to do the street lines), ATVs for the park and a riding mower. “It's not a big fleet or a big budget,” Don acknowledged, but he stretches both. His DPW budget of $2.5 million allows him to rent tools like compressors and generators if necessary, but he said he's never needed to rent big things like trucks. That budget covers roads, the park, the tennis courts, the playground, the softball field and the pool — which is a big deal, Don said, with four buildings. The budget also covers salt. Although the village recently acquired a brine spreader for one truck, Don relies on a sand-salt mix — heavier on the salt — which is stored at the police facility in an unused overhead area. He typically starts the season with 300 tons and orders as needed. When snow hits, his crew maintains 16.5 paved lane miles. The roads are winding, with lots of cul-de-sacs and dead ends, so the four to five routes can take four to six hours on average to clear. It's a lot of hours to spend behind a plow, but Graham says that even if they have a snowstorm on Christmas Eve, he could get at least nine guys to come in, out of loyalty. “I can only be as good at my job as my guys are; I have a lot of respect for them. They're good, hard-working men,” he said. That loyalty was put to the test during Hurricane Sandy in October 2012, Don's worst day on the job. The lack of extra manpower affects the summer schedule too. Although regular hours are 6 a.m. to 2:30 p.m. Monday to Friday, weekends are mandatory during the summer. “The guys are scheduled overtime because of the pool and also to maintain the tennis courts,” Don said. He carefully schedules vacations to ensure that there are no more than two people absent at the same time. Nevertheless, he said “no” is rarely said to a request for time off. All but one of his crew have been on the job longer than Don, but they've become a good team. Home is definitely Don's priority. “I had great parents,” he said. His mom is still nearby, and he has two sisters. It's the same with his own family — wife Laura, whom he married in 1999, and daughters Samantha, 16, and Charlotte, 12. The extended family includes an English Bulldog and an English Mastiff. It's different raising kids today, he mused. His kids go to the same schools he did when he grew up in Franklin Square, so he knows the area, but times have changed. Don, however, has not. Still friends with the kids he grew up and went to school with, he has also made friends with his daughters' friends and their parents, letting them know they can come to him with problems and concerns. That attitude of support extends to his work family. Reciprocity occurs via inter-municipal agreements to borrow equipment and give advice. Don has even borrowed equipment from the town of Malvern, where he currently lives. Networking is an important part of the job. Don attends meetings of the New York Committee of Mayors and is a member of the American Public Works Association. Additionally, Don is on good terms with “99 percent of the contractors,” so he gets good prices when projects arise — such as the time he worked out a deal to use restoration money the local water company received for paving half of the road to hire a contractor to pave the entire road … at a third of the cost. “I've met a person or two in 28 years,” he laughed. The village's new mayor wants to repave roads, Don said, and in 2018, there are plans to redo the park. They'll also do a running track and regrade the fields to manage runoff. “We're doing the surveys, but it's a big job, so it's all contracted out,” Don said, adding that the funding is coming from money awarded the village in a lawsuit that has been earmarked for an environmental project. Fixing problems with drainage in the parking lot was a good use of the cash. Recent projects include building the new gym and the card room. “It was a big job, but it wasn't a DPW job,” Don said, adding that he supervised the work, which included digging under the patio. If projects are rare, regular maintenance is not. Don likes to be proactive, planning for the season to come. In the fall, he organizes leaf clean-up and equipment repair, gets the half-dozen chainsaws ready to go in preparation for a hurricane and makes sand bags in case of flooding. There's also regular maintenance to be done on the equipment. Without a full-time mechanic on staff, he used to rely on some of his crew who are knowledgeable or he sent equipment out for repair. But recently he found a mechanic who comes to the village to do the full maintenance schedule on all the equipment. The village has computers for basic spreadsheets and e-mails, but Don categorizes their system as “1817 communications” rather than 21st Century technology. The crew used to have hand-held radios, but Don says nobody used them. After work, Don swaps a computer for the phone, but he's still adjusting to the level of communication residents expect. He's a hands-on superintendent who likes being in a payloader all day. When something goes wrong, there are two types of people: those who point fingers and those who fix the problem. Don is the latter. Politics is his least favorite aspect of the job and he simply doesn't play that game. “I admit when I'm wrong, but I also tell them when they're wrong,” he said about the board that hired him. His reputation for blunt honesty and his work ethic haven't hindered his position.